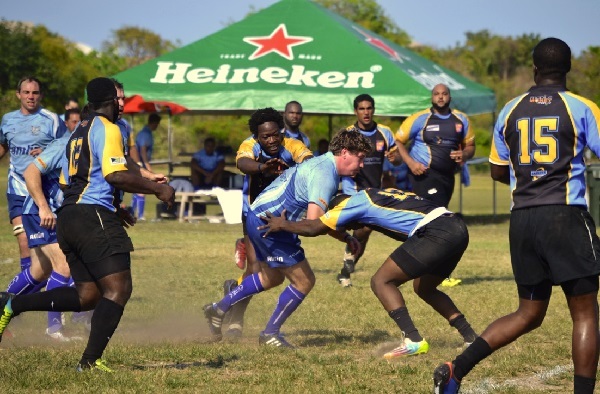 Excellent Opportunity for Bahamians. 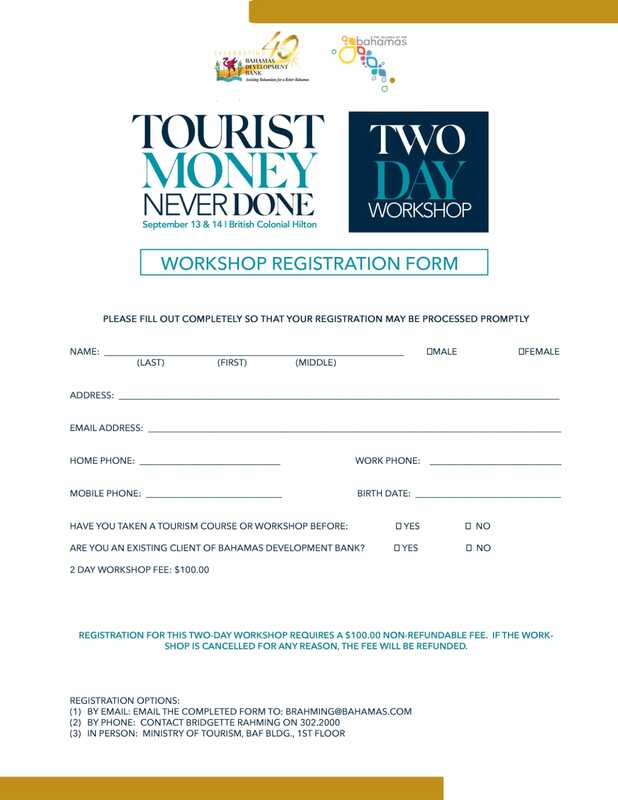 Join us for a two day workshop. Sign up today! Click Here to download the registration form. Wake Chapel Church is going to Nassau, Bahamas! We are excited about the opportunity to worship with Bishop Neil C. Ellis, Presiding Bishop for Global United Fellowship and Senior Pastor of Mount Tabor Church, Nassau, Bahamas, and his congregation. The travel dates are Friday, September 14 to Monday, September 17, 2018. 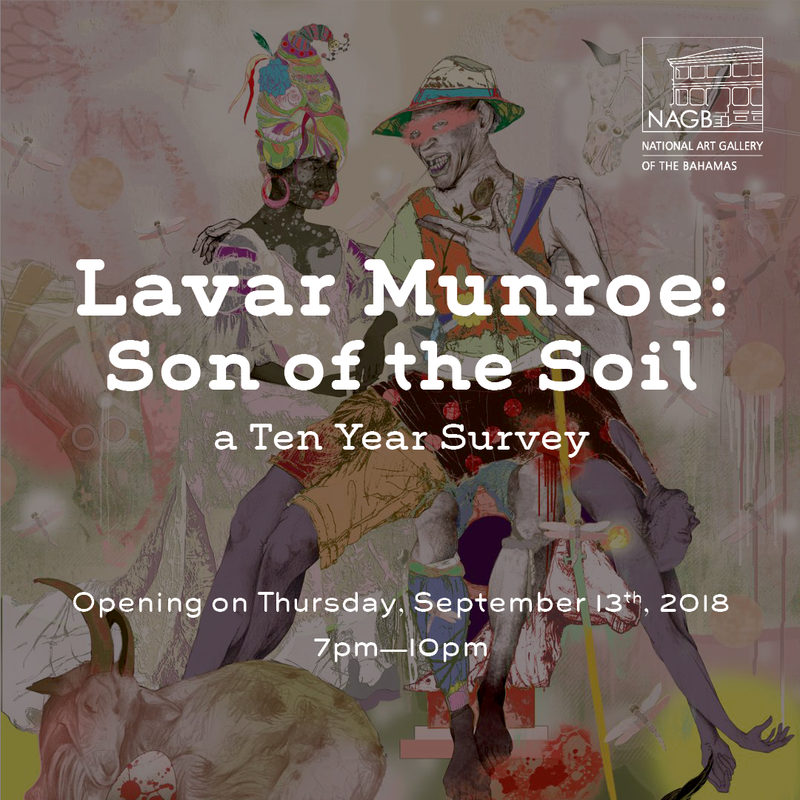 The trip is open to anyone who would like to go. Visit www.wakechapel.org For more information. The Top Elite Coaches Clinic provides a classroom experience and on the basketball court instruction for coaches to learn from current high school college coaches. Clinicians will demonstrate positional drills and philosophies behind schemes and coaching points. This is a unique opportunity to educate your organization and its coaches on basics of the game and teaching stance, alignment, key & responsibility to their players. Join us for our End Of Season Party. 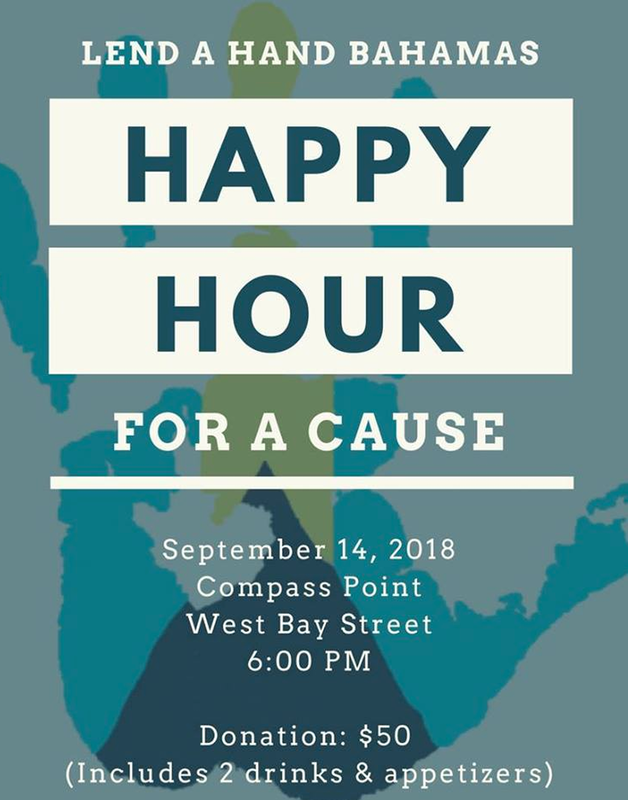 A benefit for "The Marsh Harbor Volunteer fire Dept. in partnership with Ministry of Tourism and Industry Partners. Join us for FGIF every Friday from 5pm-7pm featuring Remy Martin drinks. Enjoy Remy Martin with a Cigar when you purchase 2 cocktails. Paint Me Couture! 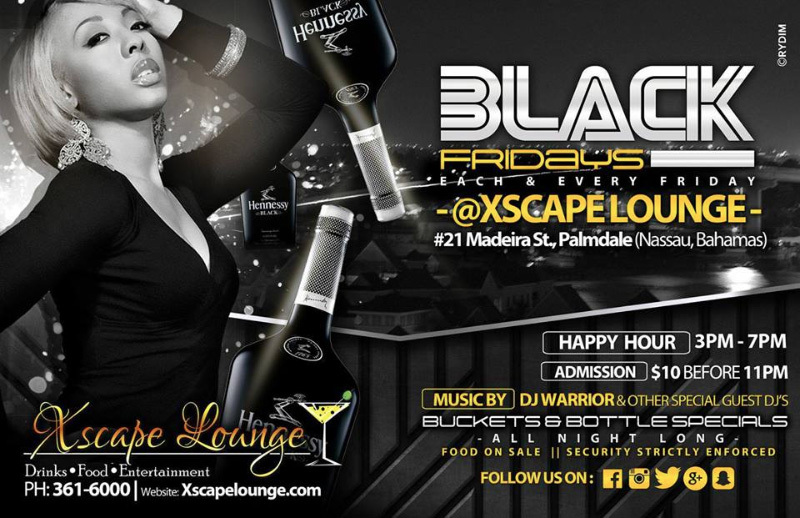 come out , Sip wine and Paint live models wearing the latest in Bahamian Fashion! This event takes off at the beach directly across from The Caves on August 24th and every Friday After until October. Only $55 per painter , Complimentary wine , Canvas , paint and assistance by Artist Justin Moultrie if needed. New Model and Couture clothing every Week! BOOK NOW! 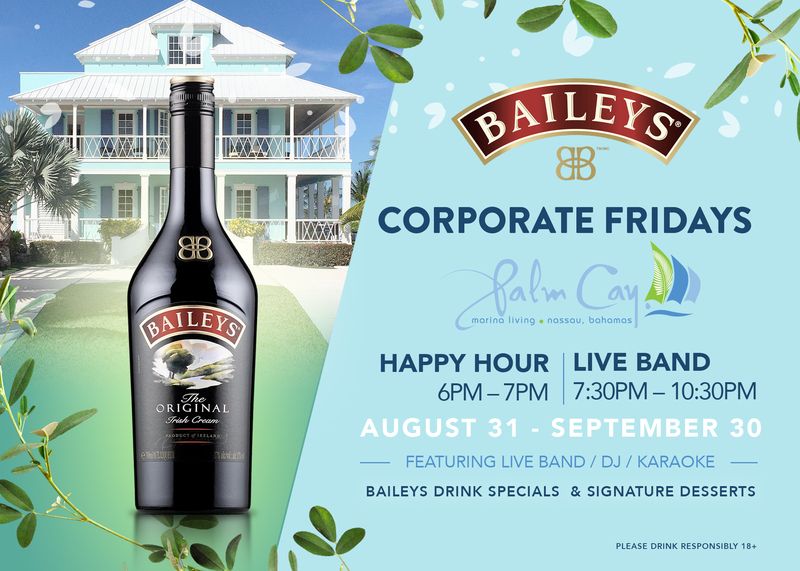 Join Us for a Happy Hour at 6pm & Live Band at 7:30pm. 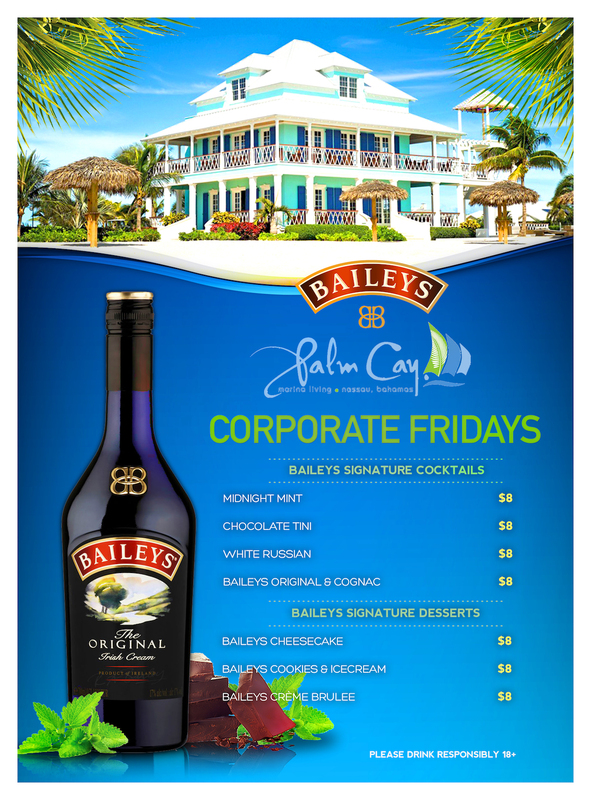 Baileys drink specials and signature desserts. Please be reminded that this meeting is open to everybody in the rugby community, not just club representatives. Please join us as we are excited to welcome Japanese Artist Hiromi Katayama as she is equally excited to share her talent in Nihonga. A Japanese traditional painting technique live @ Bistro Underground. 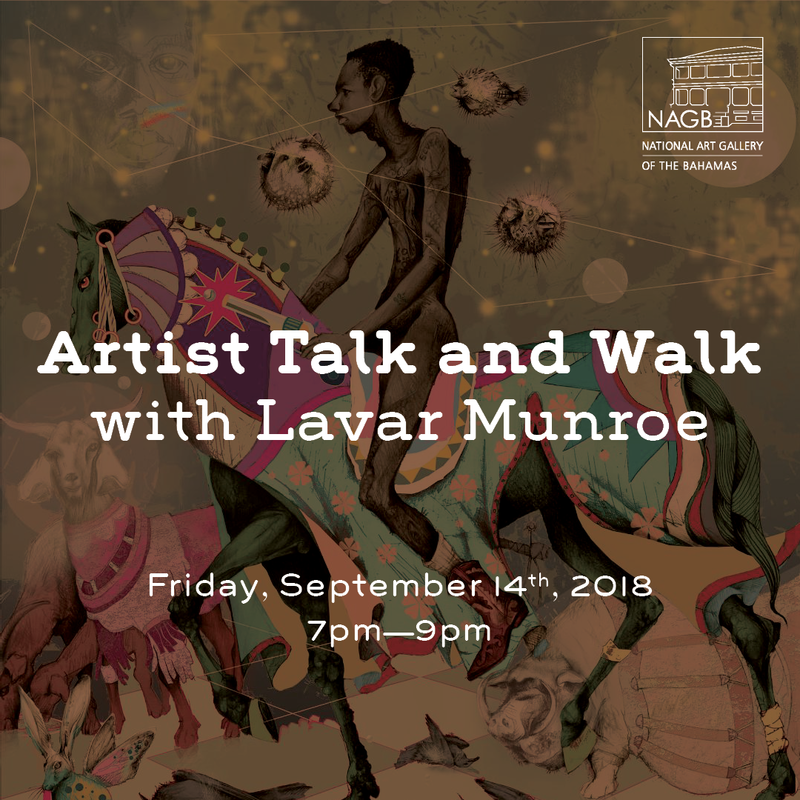 Joining us to welcome her are some of our great great friends in the art industry, the amazing visual artist Allan Pachino Wallace and multi talented Photographer & Illustrator Theo McClain, neon and sketch artist Emmanuel Caragan, sketch and portrait artist kono Chakino Smith. 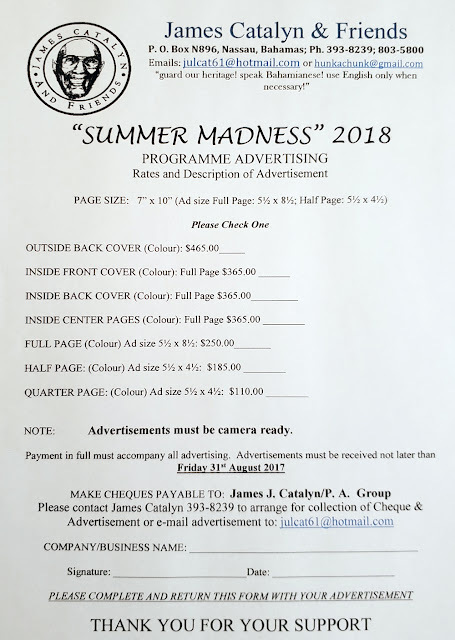 Summer Madness 2018 written by James J. Catalyn. Directed by Sony Jean Jacques. Assisted by Blaize Darling & Kimberly Duncombe. This is a tribute to James J. Catalyn. 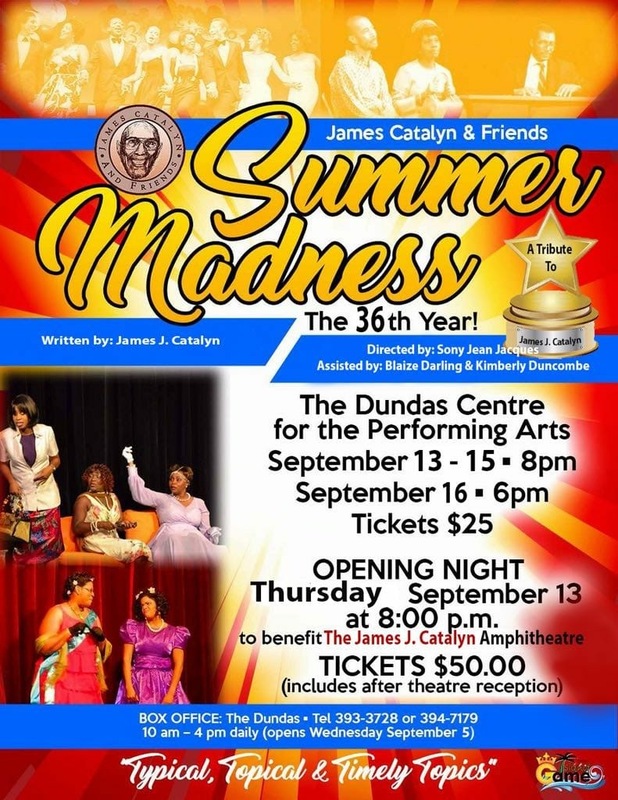 Opening night: Thursday September 13 at 8:00pm to benefit The James J. Catalyn Amphitheater. A great time filled with fun, laughter and live music! Featuring Charisa Smith on vocals, Torrano Barret on saxophone Victor Johnson on piano and Jermaine Taylor on drums! 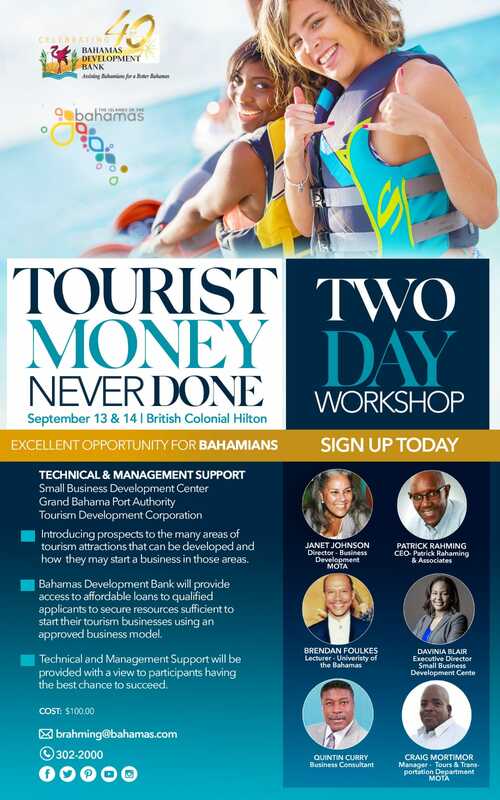 Call 1 242-788-1234 or Email bahamar.grand@hyatt.com for additional information.